#win Fathers Day Gift Guide: Tony Lama Boots #Giveaway CLOSED!! Fathers Day is almost here, and now is the time to really start looking for that perfect gift for dad. I live in the Panhandle of Texas, and the people here are country. From the way they live to who they are, country is the way to describe them. I know that many areas in the country where there are ranches, you have cowboys, and where you find cowboys, you find hard working men and durable boots on their feet. Now going out on the ranch is not the only reason or place to wear boots either, when you are ready to go two stepping or out to dinner, a good pair of boots on a man can be very attractive! One brand that is trusted by many and has been around for quite some time is Tony Lama. 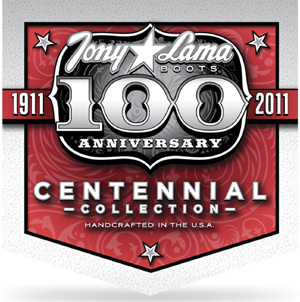 This year the trusted Tony Lama Boots brand is celebrating their 100th anniversary by coming out with the amazing Centennial line of boots. Not only are they very comfortable and durable, but the leather upper, lining and sole are handcrafted, so you know that the quality is like no other! I was given a pair of the Tony Lama Chocolate Centennial Collection Boots to review, courtesy of Tony Lama. Obviously this is a Fathers Day review, so my husband was given this pair as a early present. I am one of those women that just loves a man in boots, and this pair is a pair that reminds me why!! From the style to the detail in the embroidery, and the quality, it is all at the high standard that you would expect from a Tony Lama Boot, this pair is amazing. Well the wonderful people over at Tony Lama Boots would like to give one of my readers a gift certificate for a pair of Tony Lama Centennial Boots, to get that special man his own pair of Tony Lamas this year for Fathers Day!! Since 1911, Tony Lama has been crafting legendary western boots. As a soldier and cobbler for the U.S. Cavalry at Fort Bliss, Texas, Tony Lama’s expertise as a custom boot maker spread quickly among cowboys and ranchers throughout the Southwest. Today, these legendary boots blend that superior craftsmanship with modern technology. This Centennial Collection boot for him features a chocolate century leather foot under an 11″ matching leather shaft with fancy stitching. Men’s Tony Lama Boot boasts a triple-density insole board. Stabilizing spring steel shank. Double stitched 3/4 Goodyear welt. Square toe profile and 1 3/8″ block heel with commemorative metal plate. Like Tony Lama on Facebook, then come back here and leave me your email with this entry so I may contact you if you win!! Tell me which pair of the Tony Lama Centennial Boots you like best! This giveaway is open to US residents. This giveaway will end at 11:59 pm on June 19,2011. Winner will be chosen at random.org and will be given 48 hours before another winner will be chosen. All products for reviews and giveaways are given as a sample from the companies. All opinions in reviews I conduct are my own. I was not paid to say anthing or review any products. Previous Post Fun In The Sun: Gazillion Bubbles #Giveaway CLOSED!! Liked Tony Llama on FB – Jessie Bennetts Lucashome at thelucaszoo dot comThanks! I follow Mommy Katie via email newsletter. I like the Chocolate Century! C0110!!! The Cognac Century boots are hot! The Black ElPaso is my choice. My favorites are the Cognac Century boots. 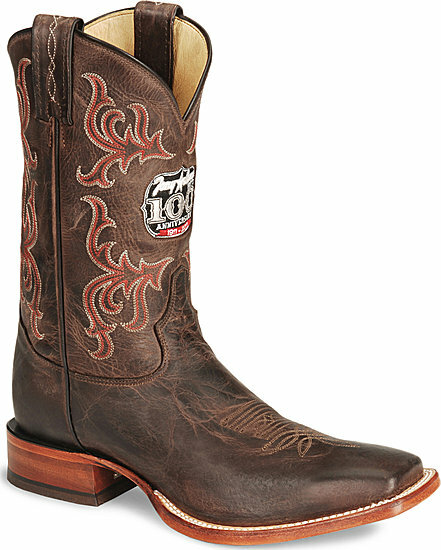 I like the Women's Tony Lama Centennial Collection Cowgirl Boots. I am following Tony Lama on twitter @rusthawk. I like the COGNAC CENTURY boots best. I like the COGNAC CENTURY boots.